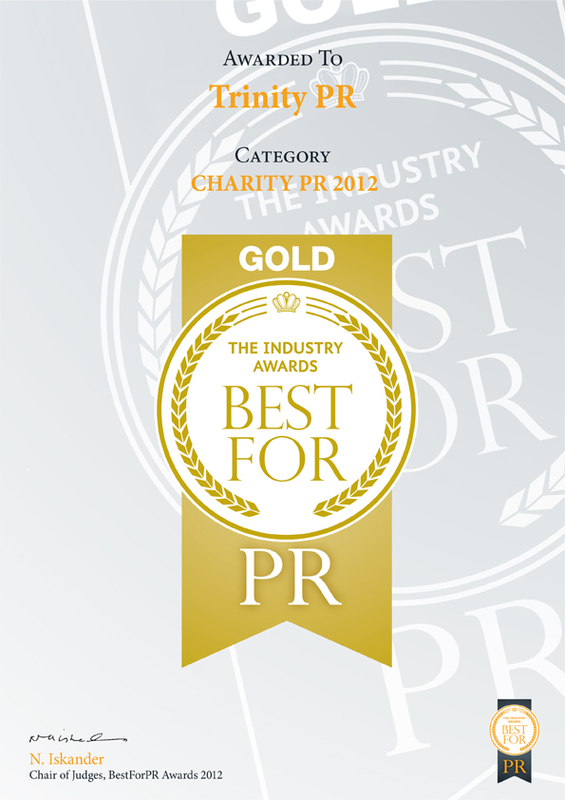 Trinity PR’s work in the fields of not-for-profit and healthcare PR has been recognised as part of new industry awards; BestForPR 2012. The Agency yielded a fantastic ‘medal haul’ over four categories, achieving the prestigious Gold Award in the Charity sector and silvers in Health and Beauty, National and Regional (South East) sectors. These outstanding results were based on a range of work from the agency including the launch of a new £4 million fertility centre in Surrey, NewLife, as well as a campaign on behalf of the charity Cardiac Risk in the Young (CRY) to raise awareness of the importance of cardiac screening following the sudden and shocking collapse of footballer, Fabrice Muamba.